The Grand Jury Clause is the first clause in the 5th Amendment to the United States Constitution. It guarantees that all people have the right to be indicted by a Grand Jury before they are charged with a federal crime that is considered to be "infamous." The Grand Jury Clause reads like this, "No person shall be held to answer for a capital, or otherwise infamous crime, unless on a presentment or indictment of a Grand Jury." You might have wondered what an "infamous" crime is. The 5th Amendment says that people cannot be charged with an "infamous" crime, unless indicted by a grand jury. 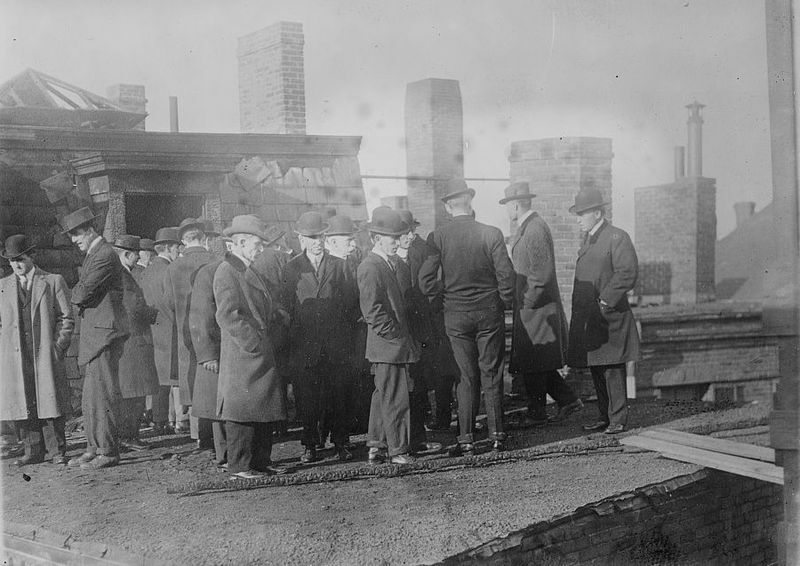 In United States v. Moreland, 1924, the Supreme Court ruled that an infamous crime is one in which the punishment for the crime could be a prison sentence. Why was the Grand Jury Clause added by the Founding Fathers to the Bill of Rights? The idea of the grand jury goes back into English history, as do all the provisions in the Bill of Rights. The Grand Jury first came to use in England around 1000 - 1100 AD. It was used as a tool by the King to find evidence against those who disagreed with him. Jurors were required to bring in information about their neighbors, basically acting as spies. It was strictly an accusatory businesss. In these early days, everything was stacked in favor of the king and a lot of people were probably judged guilty, not because of any criminal guilt, but because they were somehow deemed to be a threat by the king. Within a few hundred years, the grand jury system had evolved into a system of protection from overzealous prosecution. The system came to be viewed as a safeguard for citizens against the government. It was viewed as a safeguard because the grand jury made a group of citizens responsible for looking at the evidence and concluding whether or not someone should be charged, rather than a government official. If a corrupt government official could bring the charges alone, without the grand jury to act as an intermediary protection, he could accuse someone for unfair reasons. With the grand jury system, frivolous or unfair charges were greatly reduced. During the early years of American colonization, the grand jury concept was also imported from England. It was used throughout early American history and was mostly judged to be a protection against faulty prosecutions, rather than as an accusatory tool of government prosecutors. Some, though, viewed it as an arm that the prosecutor could lean on to do the investigatory work that he didn't want to do. Grand juries became important tools to Americans before the Revolutionary War to protect themselves from what they believed were unjust royal laws. 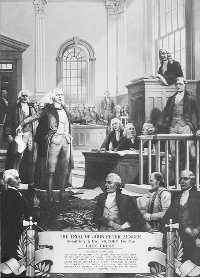 The most famous case involving a grand jury before the American Revolution, was the John Peter Zenger case. In this case, Zenger was a newspaper publisher who had published material critical of the Royal Governor of New York. The Governor tried to prosecute Zenger of seditious libel in 1734. Not once, but three times, grand juries refused to indict Zenger, even though he was technically guilty. Instead, they believed that citizens should be able to speak freely. This case impressed upon the colonists how much power they could have in their own hands to protect themselves from unpopular measures of the Royal government. The Zenger case also had influence on the way freedom of the press was viewed in colonial America. You can read more about how Zenger's case affected Freedom of the Press here. As the Revolutionary War drew closer, royal prosecutors were increasingly frustrated by colonial grand juries that began to throw out cases where people were accused of violating taxation and importation laws, even when the person was really guilty. The Constitutional Convention did not add a grand jury clause in the original Constitution. It quickly became an amendment that was called for by the population as a stipulation to accepting the new Constitution. James Madison included the Grand Jury Clause in his proposed amendments to the Constitution. You can read Madison's June 8, 1789 speech in which he proposed twenty amendments to the Constitution to the First Congress here. These proposed amendments were revised and eventually became the Bill of Rights. It is notable that there was no debate or opposition to the Grand Jury Clause amendment, unlike some of the others. That indicates that the desirability of using grand juries was nearly universally accepted by the Founding Fathers. Why so? Because they were very leery of establishing a government that would be unfair, unjust and too powerful. Remember, they had just fought the Revolutionary War to free themselves from such a government. They didn't want to create another one. They wanted to make sure that everyone was protected from unfair or overzealous prosecutors. The Founding Fathers included the Grand Jury Clause in the Bill of Rights to make the grand jury the only way a person could be charged with serious federal crimes. This shows how much importance they put on the grand jury. "The basic purpose of the English grand jury was to provide a fair method for instituting criminal proceedings against persons believed to have committed crimes. Grand jurors were selected from the body of the people and their work was not hampered by rigid procedural or evidential rules. In fact, grand jurors could act on their own knowledge and were free to make their presentments or indictments on such information as they deemed satisfactory." "[The grand jury's] historic office has been to provide a shield against arbitrary or oppressive action, by insuring that serious criminal accusations will be brought only upon the considered judgment of a representative body of citizens acting under oath and under judicial instruction and guidance." Grand Jury Clause - What is a Grand Jury? A federal Grand Jury normally consists of from 12-23 people drawn from the community. They must be of legal age and have no criminal record. Jurors are given instructions by a judge, but have very few guidelines about how they must proceed. The prosecuting attorney will then present the case to the grand jury, explaining the possible charges and presenting evidence that he believes shows that the accused is guilty. It is the jury's duty to investigate the crime and decide whether or not they believe a crime was committed. If a simple majority believes a crime was committed, formal charges are filed by the prosecutor and a criminal trial begins. If a majority does not believe the person committed a crime, no charges will be filed. When the grand jury believes there is evidence of a crime, it returns what is called a "true bill" to the prosecutor who then indicts the accused with it. If a majority does not believe the person is guilty, they return an indictment carrying the words "no bill." Grand Jury Clause - How does it work? A grand jury functions very differently from a trial jury. Most people don't know much about how a grand jury works because they are only held behind closed doors, in private, with a required oath of secrecy by everyone involved, except for the witnesses. The oath of secrecy is required to prevent anyone from tampering with potential witnesses. The jurors meet in a closed room with no press, no spectators, no judge and no attorney but the prosecutor present. Prosecutors, jurors and court personnel are all required to uphold the secrecy. They can be charged with contempt if they leak anything outside the court. Grand juries indict with only a majority vote, whereas trial juries must have unanimous votes. This makes the burden of proof of a crime much lower in a grand jury. The grand jury is not convicting the person, only deciding if there is probable cause of guilt. Since grand juries are not convicting anyone, they are not required to hear all the evidence. For example, a prosecutor is not required to share with the grand jury any information that might show his witnesses are unreliable. Also, a prosecutor does not have to present information that may be favorable to the accused. Hearsay is allowed as evidence in a grand jury that would not be allowed in a trial jury. Hearsay is a statement that is made outside of court. So someone could say, "So and so said such and such," and this would not be admissible evidence to a trial jury because there is no proof the person said it, only hearsay. But, this type of "evidence" is allowed in a grand jury trial. Evidence that is not permitted in a jury trial because it was obtained illegally by the authorities under the exclusionary rule, can be presented to a grand jury. The exclusionary rule excludes evidence that was obtained in violation of 4th, 5th or 6th Amendment rights from being used at trial. So, for example, if evidence was obtained without a properly executed warrant, the accused's Fourth Amendment right to have his property searched only with a warrant would have been violated, and that evidence would not be admissible in a jury trial. This type of evidence is admissible in a grand jury trial. One of the main differences from a trial jury, is that witnesses are not allowed to have an attorney present with them in a grand jury trial. Jurors can ask any questions they want of the witnesses. Witnesses have no way of knowing what evidence was presented to the grand jury because the meetings are held in secret. So the witness may not know if evidence presented was accurate or misleading, or if any charges might be filed against him. He can only guess at it by the questions the jurors may ask. If the witness lies to a grand jury, he can be charged and convicted with perjury, even if he didn't know there were charges pending against him. Witnesses are permitted to plead the 5th though and refuse self-incrimination, if they are bright enough to realize they might be asked things where their testimony could be used against them! If an indictment is brought by the decision of the grand jury based on evidence that would not be allowed in a later trial, suspects are not allowed to challenge the indictment. They have to wait and challenge the actual charges in the trial. Grand juries usually meet only once a week or twice a month, unlike a trial jury, which usually meets every day. Grand juries usually have a set term of 18 months in which to conduct their investigation. In some circumstances, the length of the term can be extended to 24 or 36 months. After seeing the prosecutor's initial evidence, the grand jury can go in any direction it chooses. It can subpoena witnesses or documents. Witnesses can file a motion to quash the subpoena if it is deemed unreasonable or oppressive, but a witness who disregards a subpoena can be held in contempt. Grand juries are not even required to stay on the case that was initially presented. They could find something that would lead them into investigating a completely different alleged crime. This very loose structure is an advantage to suspects. Grand jurors are free from any "rigid procedural or evidential rules. 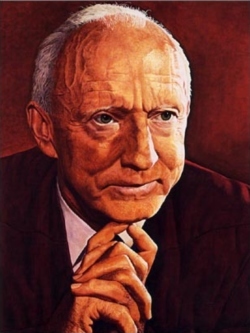 In fact, grand jurors could act on their own knowledge and were free to make their presentments or indictments on such information as they deemed satisfactory," as Justice Black put it in 1956. In other words, there are few guidelines that the grand jurors can be forced to abide by. If the government was allowed to prescribe the entire procedure, it could stack things in its own favor and against the witness unfairly. The 5th Amendment's Grand Jury Clause requires only that serious federal crimes use grand juries. It does not require that states use them. All of the rights guaranteed in the Bill of Rights were protected only from federal intrusions as the Founding Fathers originally wrote them. The Bill of Rights did not prevent the states from making laws regarding these rights. After the 14th Amendment was written after the Civil War, the Supreme Court used its Due Process Clause to incorporate the states into the restrictions listed in the Bill of Rights. The Due Process Clause promises "equal treatment" under the law to all citizens. It was meant as a protection to former slaves after the Civil War, who were often treated unfairly in Southern states. The Court used this clause to say that the States must also follow the restrictions listed in the Bill of Rights. You can read the 14th Amendment here. Significantly, the Grand Jury Clause is one of the only parts of the Bill of Rights that the Court has not incorporated against the States. This means that states are still not required to use grand juries in any criminal proceedings, although some do by their own choice. When states do require grand juries, they can make up their own rules as well. Many states' grand jury rules are much more fair to the suspect than are the federal grand jury rules. Since states are not required to use grand juries, this provision of the 5th Amendment is not as valuable to individuals as some of the others in the Bill of Rights because states prosecute more criminal charges than the federal government does. You may think that all of this grand jury stuff seems extremely stacked against the witnesses and you would be right about that. Many legal scholars challenge the way grand juries are used today, saying that they have been twisted into something very different from what the Founders intended. Many believe the whole grand jury system as it is used today is unconstitutional. Suspects have no right to have an attorney with them during the proceedings and are not allowed to present witnesses in their favor. Nor are they, in many cases, informed that they might be charged with a crime. All of this seems to be exactly contrary to what the Founding Fathers had intended. Grand jurors often lack the ability and knowledge to judge sophisticated cases and complicated federal laws. This puts them at the mercy of very well trained and experienced federal prosecutors. Grand jurors often hear only the prosecutors side of the case and are usually persuaded by them. Grand juries almost always indict people on the prosecutor's recommendation. 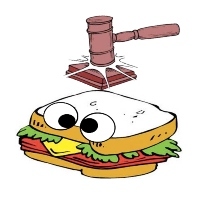 One former federal judge even said that a skilled prosecutor could persuade a grand jury to "indict a ham sandwich!" It should be noted though, that some observers claim that the high percentage of grand juries that do indict is an indication that the grand jury process is protecting people from frivolous charges. They say that prosecutors know it will be hard to get a weak case past an inquisitive grand jury and that this leads the prosecutors not to prosecute weak cases in the first place. Federal law does allow misdemeanors to be tried without an indictment and allows felonies to be tried without indictments if the accused waives his 5th Amendment right to a grand jury indictment, unless the alleged crime is one for which the penalty is capital punishment. Despite the Founding Fathers' intent in writing the Grand Jury Clause, which was to protect suspects from unwarranted or unjust incrimination, the modern day use of the grand jury has mostly reverted to its roots of being an accusatory body. Grand juries provide little protection to accused suspects and are much more useful to prosecutors. Grand juries have such broad subpoena power that they can investigate alleged crimes very thoroughly and often assist the prosecutor in his job. Grand juries sometimes compel witnesses to testify without the presence of their attorneys. Evidence uncovered during the grand jury investigation can be used by the prosecutor in a later trial. Many suspects today waive their right to a grand jury because it offers little protection and might cause an embarrassing investigation to take place. You can read about several interesting and significant Fifth Amendment Court cases dealing with the Grand Jury Clause here. Return to the 5th Amendment here.